Video should deliver results. Our new highly practical part-time programme in video content production is designed to help you quickly and thoroughly get to grips with both technical and storytelling skills you will used to generate online content while working in a freelancing or part-time capacity; achieving the best in both worlds. This programme occurs three evening classes per week, with occasional Saturday morning workshops, and focuses on technical camera and lighting work, post-production and digital storytelling. In completing this programme you will become a competent videographer with a strategy to enter into the online storytelling world. Course Structure: Evening Classes. Three Sessions per week with workshops on occasional Saturday mornings. Create two short showreels – One professional to showcase production work, one creative for personal interest. Learn to create vlogs, motion graphics, travel videos, music videos, short films, and campaign videos. Understand the entire production process to plan and execute shoots responsibly and reliably for predictable, high-quality results. Apply post-production techniques to sourced media to finish film productions, including performing visual and sound editing, colour grading, title design and, animations. Undertake conceptualization work for content creation for various platforms and perform necessary planning and preparation for execution, including all necessary authoring. This course looks at the various ways that video is used to tell stories and communicate information using modern technologies and media platforms. Creative processes, writing, and social media marketing skills are developed and applied to the creation of common video types. This course teaches the principles and develops the skills students need to complete professional video productions. The full post-production workflow is looked at, including video and sound editing, colour work, Digital Imaging principles needed for the correct handling of media and preparation of deliverables, and proper management techniques to ensure the safety of the media. While not looked at in detail, implementing Motion Graphic elements in video productions and the compositing principles and techniques used for image manipulation are introduced to students. Weekly practical sessions in our MacLab teach the required principles and these are immediately explored during carefully designed exercises, developing essential technical skills at the same time. Media produced for Practical Cinematography is used in this course, and assignments for the two courses are briefed in conjunction. Students’ medium and long term goals are determined and they’re taught how to produce showreels that could help achieve these goals during the second term of the programme. The Professional Showreel is a showcase of technical production skills that can be used to approach production companies for employment in commercial production fields. The Creative Showreel showcases creative abilities, including concept development, writing and storytelling ability, which can used to sell creative services to prospective clients. Plenty of external storage. A ﬂash drive is convenient, and everyone should have one for quick little transfers, but you will need larger storage. For example: storage with Thunderbolt or USB connections (not USB-C if you want to use them on the school’s machines. Something for taking notes. We’re not having traditional lectures, with endless PowerPoint presentations, but you are likely to want to make notes for yourself, either for keeping concentration during sessions or to have something to refer to later. We’re not speciﬁc about how you do this, but recommend that you make notes for yourself in some way. You could use a word processing app on your phone. Some people prefer paper-based solutions. Some might want to use their laptops for taking notes: this will only be practical during the post-production sessions, since you will not be seated for long periods of time in any sessions, and not at all in many of them, meaning that working on a laptop will not be convenient most of the time. Creating Google Docs that you can edit with your phone and access with your laptop later instead is probably the all-round solution. Cameras. The school provides cameras for workshops and completing assignments. If you are serious about working for yourself, getting the right camera would deﬁnitely be advantageous. However, you deﬁnitely shouldn’t buy a camera now: if you have one already that you would like to use, that’s great but if you are in the position to buy your own now, please rather come to the start of the programme and let us help you make the best decision. Laptops. The school has a Mac Lab with the installed software for the completion of assignments and having your own machine is not an requirement.. However, should you wish to get your own machine, we would recommend getting a Macbook Pro (not Macbook Air) for video production since the OS is good at handling media and the machines are tough in their construction. What equipment is used for production during the programme? Our policy when it comes to production equipment is to embrace modern equipment, while making sure that basic principles and techniques are taught to enable students to use a great variety of equipment effectively. We do not focus on a specific type of camera, but rather explain what the different types are good at and what purposes cameras should be used for. This ranges from smart phones and drones to camcorders and cine cameras. Similarly, we don’t focus on a specific type of camera mount, but rather look at the various types, teach students how to use each as well as when to use which, including using video tripods, steadicams and gimbals. We use modern, portable types of lighting equipment, which is line with how students will do lighting once they start working professionally. The different techniques used for achieving looks and moods are practiced to enable students to control the lighting on their shoots. Audio recording equipment is likewise is line with what independent creatives use in the industry, including external recorders, lapel and rifle microphones, again focusing on good practice and using manual settings to achieve consistently good results. Which software is used during the Post-Production part of the programme? While we have Adobe CC software on our MacLab machines, we teach and complete exercises using Blackmagic Design DaVinci Resolve only. Each step in the workflow is looked at using this application, but students are not required to use this application to complete assignment work. Skills are assessed by marking video submissions rather than project files. What equipment do I need for either the production or post-production parts of the programme? Students are not required to own a camera or any other production equipment, and the school has gear that is available to be used for exercises and completing assignments. Having access to anything that can shoot images and/or video is beneficial for exercise purposes, and it is recommended that students acquire equipment to make it easier to practice production techniques and complete assignment work without the restrictions of gear availability at the school, but this is not a requirement. Students are not required to own their own computers, and the Macs at the school are available for students to complete their assignment work during the Post-Production sessions. DaVinci Resolve is a free application, so students can install this on their personal machines, but again, this is not a requirement. How much experience in photography, video production and post-production do I need to be able to apply for the programme? Students are not expected to have any relevant skills in production, and all courses are designed to teach principles and techniques from scratch. Any experience could be beneficial, but every student is trained the same way regardless, to make sure self-taught bad habits are not reinforced, but rather replaced with good technique applying the correct principles. Post-Production is also taught from scratch, starting with basic principles and gradually practicing techniques until the full production workflow is explored. Will I be able to find work after studying this programme? 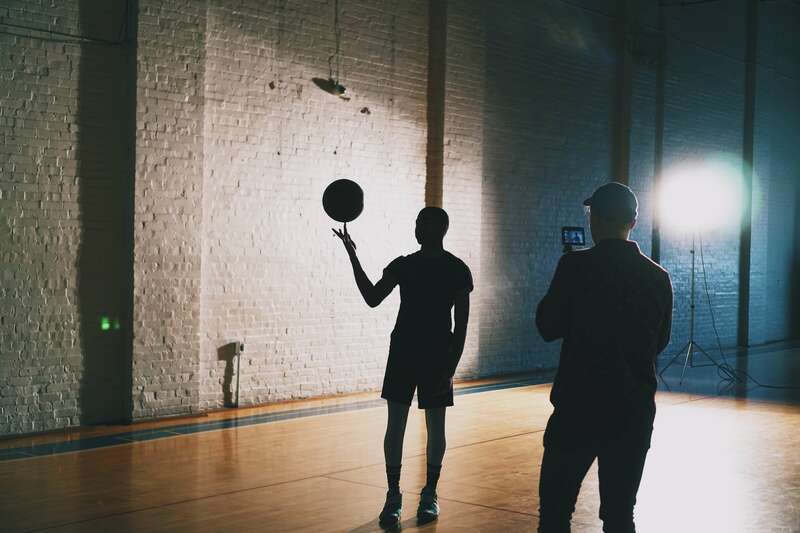 While the film and broadcast industries are relatively oversaturated, the digital video market isn’t, and together with Content Creation skills is a very good combination for working as a professional independent creative. 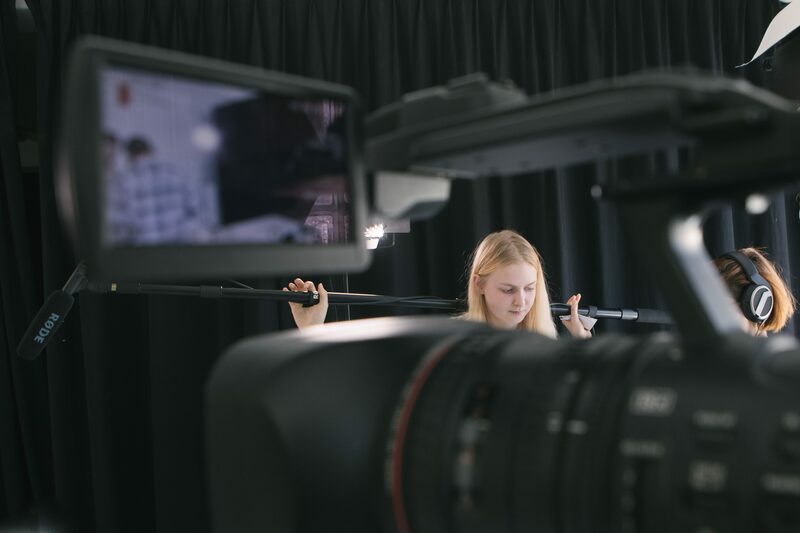 Students are provided with the opportunity to learn invaluable vocational skills, are put in touch with various industry professionals throughout the programme, and finish the year with two showreels that can be used to pitch for work or look for employment. Students that make the most of their opportunities should not find it difficult to become successful in their desired fields upon completing the programme. Ensure that you have submitted all the required documents and materials as stated below. We will notify you via email or telephonically to congratulate you upon acceptance within the first 2 weeks after your review. 1. Only applicants who submit all required information will be considered. 2. On acceptance, applicants will need to register as a student at Orms Cape Town School of Photography to secure their place. This process will be set in motion by the school. Can I submit my mock exam results with my application? Yes. Please send us your latest results to review. Please note that acceptance in such a case will be provisional, pending results on final exams.